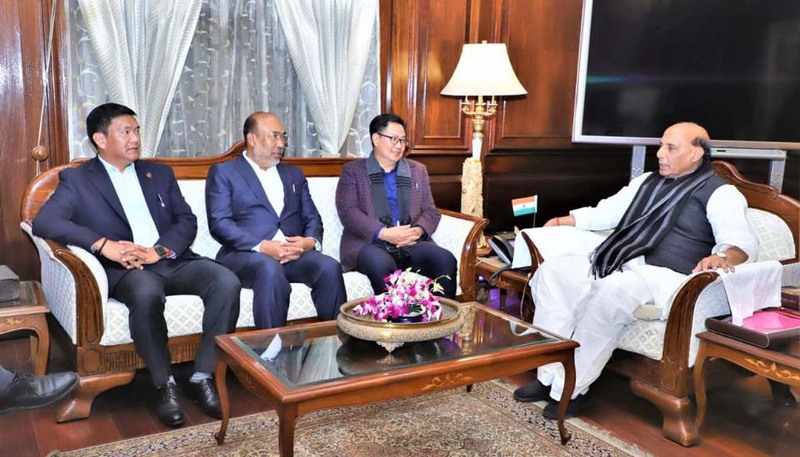 The Arunachal Pradesh Congress Committee (APCC) has questioned the sudden change in stance taken by Arunachal Pradesh chief minister Pema Khandu on the Citizenship (Amendment) Bill, 2016. While questioning the report wherein the chief minister had expressed his reservation over the contentious Bill during a meeting with union home minister Rajnath Singh at New Delhi on Monday, APCC spokesperson Chera Taya on Tuesday said the Pema Khandu-led BJP government was silent over the issue when the entire northeastern states including Arunachal Pradesh were burning with protests. “The Khandu-led BJP government supported the Bill by saying it would rebuild a balanced demography and accused the protestors of having a vested interest but he suddenly changed his stance on Monday. Such change of decision at the eleventh hour of Assembly election will definitely leave space for doubts on his leadership,” Taya said. The APCC leader further said the chief minister Khandu-led BJP government is plotting a huge conspiracy against the people by not openly coming up to express their solidarity with the people’s movement against the Bill. “Khandu must have taken experts suggestions to pull strings of BJP heads at the Centre and to save the party from a political crisis in State. The Congress has stood for the people of the State and protested against draconian Bill. No matter how many stances the BJP government and its chief minister takes for political feats, the APCC will continue to safeguard our people’s interest,” Taya added. The contentious Bill which seeks to amend the Citizenship Act, 1955 to provide citizenship to illegal migrants, from Afghanistan, Bangladesh and Pakistan, who are of Hindu, Sikh, Buddhist, Jain, Parsi or Christian extraction was passed in the Lok Sabha on January 8, 2019. The Bill was supposed to be tabled before the Rajya Sabha on Tuesday, however, the house was adjourned as uproar continued over Samajwadi Party (SP) leader Akhilesh Yadav’s episode at Lucknow airport. If cleared in Rajya Sabha, the CAB will become a law.